As growing old, pain in several parts of the body becomes a common ailment for a person. Sometimes it is a mild ache, but in other occasions is really painful. Either soft or hard, a bothering, especially in the joints, could be interpreted as the presence of arthritis. To determine if this illness is present, the ache is mostly accompanied by the swelling of the affected area with redness around it, plus a limited movement of the joint and stiffness as well. A physician can prescribe certain medication to relieve the pain, but some people experienced an improvement by taking some homemade remedies along with good physical activities. Rich in minerals such as calcium, magnesium, potassium and phosphorus, apple cider vinegar has been useful for relieving joint ache. Furthermore, it is a good helper to remove the accumulations of toxins in the joints and connective tissues. This remedy is prepared by adding one teaspoon of each honey and apple dicer vinegar to a cup of warm water. A daily doses in the morning is required to deal with the illness. Ginger has natural anti-inflammatory properties that can help dealing with arthritis. Mix 6 teaspoons of dry ginger with 6 teaspoons of caraway seed powder and 3 teaspoons of black pepper powder. Three times a day combine a teaspoon of this mixture with water and drink it. Apply ginger oil to the molesting areas on a regular basis in order to reduce ache, swelling and rigidity. Eating ginger raw regularly help to lighten pain through blood circulation improvement. Just peel and slice fresh ginger and added to every meal taken. A good massage with the usage of mustard oil is excellent to get rid of the pain and inflammation caused by arthritis. Stimulating blood circulation, the oil works as a natural ointment. It is necessary to heat to considerably warm condition before applying it. In the presence of inflammation, it can be combined with onion juice as well. Rub it over the affected joints and after that cover the areas with plastic wrap applying warm towels daily before going to bed. Another mixture that can be helpful in this case is wintergreen and eucalyptus oil, with this remedy is not necessary to put hot wrappings. Consuming turmeric on a regular basis can help reducing inflammation due to the containing of curcumin, an anti-inflammatory component. It is principally good as a treatment for rheumatoid arthritis. To make this remedy, a teaspoon of turmeric powder is mixed with a glass of warm milk to be drunk daily before going to sleep. 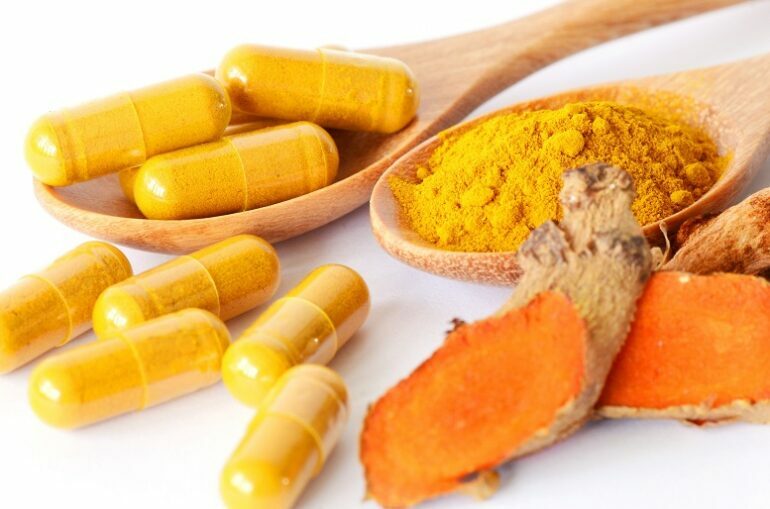 Turmeric capsules on a three-times-a-day regularity are recommended on a 500mg to 1000mg doses. Omega-3 fatty acids – found in fish oil – have proved to be anti-inflammatory and so they help to reduce ache in the human body. By simply taking one to two teaspoons of fish oil on a daily basis is one way to consume this remedy; especially when it is taken in the mornings with an empty stomach. Along with the consumption of this supplement, cold water fish are also recommended to get the necessary omega-3 fatty acids to help dealing with arthritis. Along with the home medicines and therapies mentioned above, the consumption of Epsom salt, cinnamon, alfalfa, cherries, and borage seed oil are other remedies that are very helpful in dealing with this sometimes painful and bothering illness. But it is not necessary to suffer more from it following the doctor’s indication along with any of the natural treatments detailed in the previous lines.